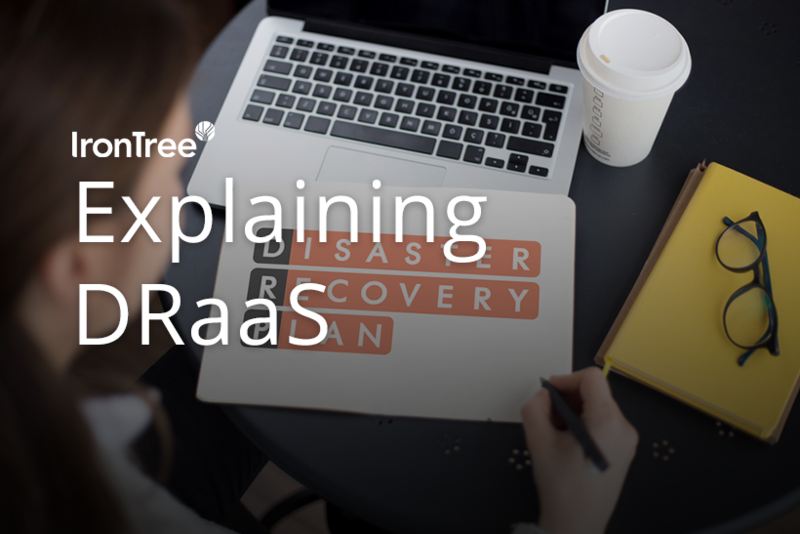 DRaaS is a term you find all over IT security sites and news feeds these days, but what exactly is it? It stands for ‘disaster recovery as a service’ and has come about as a result of Internet technology enabling the possibility of ‘duplicating’ a business or computer environment in the event of a disaster so that business can continue as usual until the affected environment is brought back to normal. A disaster could be anything from a malware or ransomware attack to a natural disaster, theft or even an employee error that causes disruption to the everyday workings of a business. Some DRaaS providers duplicate the affected environment virtually, to the cloud, while others use a real offsite location so that business operations are able to continue smoothly in an unaffected environment. IronTree Internet Services’ disaster recovery service, for example, backs your systems up to a secure data centre and can restore services to full functionality within a few hours so that your core business operations don’t stop while your office environment is being repaired. Without a disaster recovery plan, the downtime that follows a disaster will not only affect business operations and cause a loss of income, it will also damage your customer relationships and business reputation, and compromise your business sustainability. An essential component of IronTree’s service are the recovery simulations carried out quarterly to ensure failover to the unaffected environment works optimally. Using state-of-the-art storage technology IronTree also provides versioning of your backups and disaster recovery instances to reduce the risk of corrupted data. By performing audits IronTree can identify, correct and prevent problems that may affect the recoverability of your business’s critical systems and data. Every business needs a recovery plan, whether it’s a small one comprising a team of five people with five computers or whether it’s huge, with several hundred employees working over several networks. No business wants to risk the loss of its data, reputation or income. DRaaS providers typically offer packages to suit different sizes of organisations, and scaling up or down is uncomplicated. IronTree offers different packages depending on the size of your business operations. Since billing is monthly, with no long-term contract, you can up- or downgrade without the burden of a lengthy commitment to the service. DRaaS is basically the difference between knowing your data and systems are recoverable within hours, and hoping nothing will ever happen to them. Click on the banner below to download a useful DRaaS checklist.